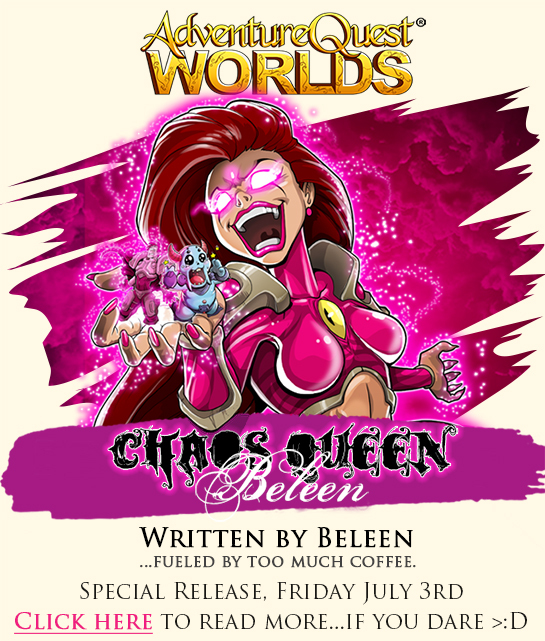 This Friday: Chaos Queen Beleen Release! 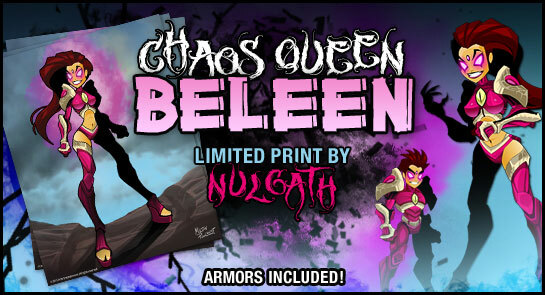 Chaos Queen Beleen Art Print Now in HeroMart! Make your way to HeroMart.com, our online, real-life merchandise store to find the new Chaos Queen Beleen Arti Print! Inspired by Beleen, marketing writer for Artix Entertainment, and created by Nulgath, master artist, this 8.5x11" limited edition print will bring chaos and craziness to your room, dorm, office, or castle! New layout. New adventures. 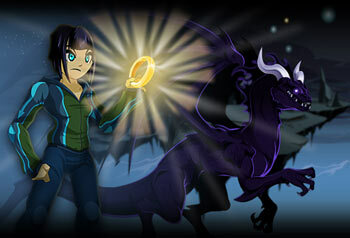 New story written by Artix! Click to read this week’s brand new newsletter—not only was it personally created by Artix himself, but Artix also wrote this week’s new game release: Ebil DreadSpace. 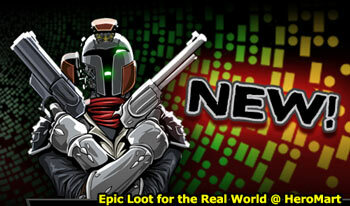 AQW’s summer event starts off with a blast… off into space! Thanks for playing AdventureQuest Worlds, and a special Thank You to all our wonderful Legends and AdventureCoin buyers for supporting the game! You. Rule. New Game Releases on Friday! Brandish your blade, conjure your spells, and join over 17 million players in the ever-expanding world full of quests and adventure! 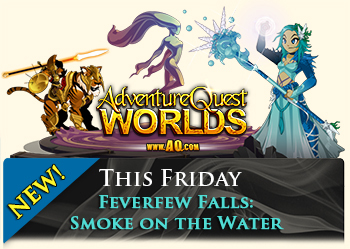 That’s why we call it... AdventureQuest Worlds! This week’s newest game release features our first-ever free player Pets, the Armor of Awe, and much more. 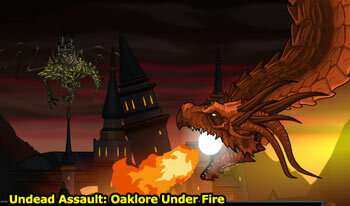 The Firestorm Onslaught has attacked Feverfew Falls, destroying the temple and taking hostages. Uncover your enemies’ fiendish plans and put a stop to them before they stop you! 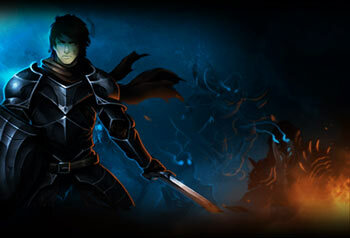 Also: Artix in Super Smash Bros, new Legend-only gear, and escape the Blazebinder's Trap. What luck! Friday the 13th AND Lucky Day double feature! 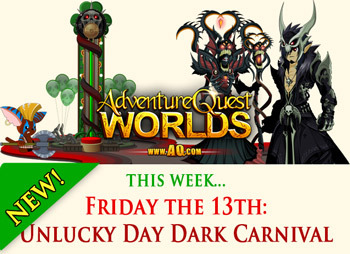 Join Voltaire and Zazul in the all-new Unlucky Day Dark Carnival and test your (un)luck across a maelstrom of minigames & epic prizes starting this Friday! Dage's New Class, Items, and New Storyline Release! After crushing the 4 Horsemen of the Apocalypse, complete the Champion's Gauntlet Daily Quests, score hot new loot by Dage & Laken, and then embark on Dage’s new storyline release! The Dark Lord is leveling up! 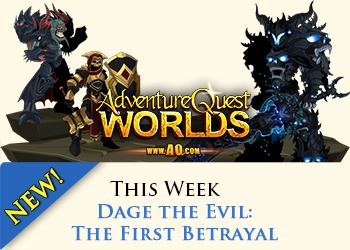 On Friday, harness Dage’s evilest & newest Items. 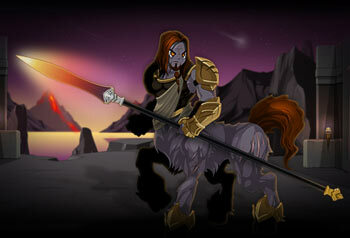 And then... prepare yourself... because the Legion DoomKnight Class arrives Monday! War is on the horizon... are you ready for battle, soldier? 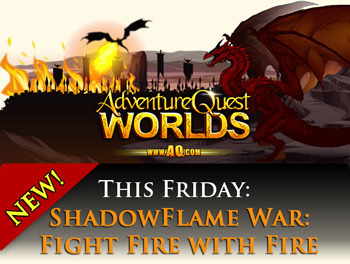 Brandish your blade and prepare for the ShadowFlame Dragon War! AQ DRAGONS fan art contest: happening now! Attention Dragon Masters! 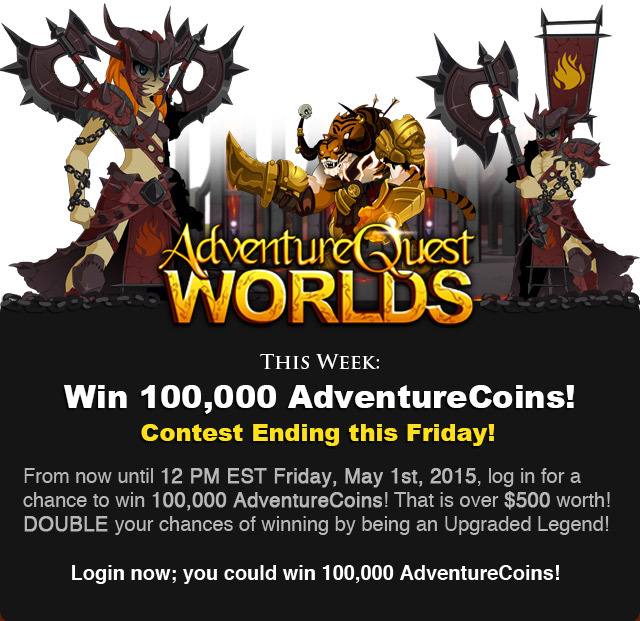 A new contest has started and we want YOU to create AQ DRAGONS fan art. Read more here! Play AQW’s new Tutorial! 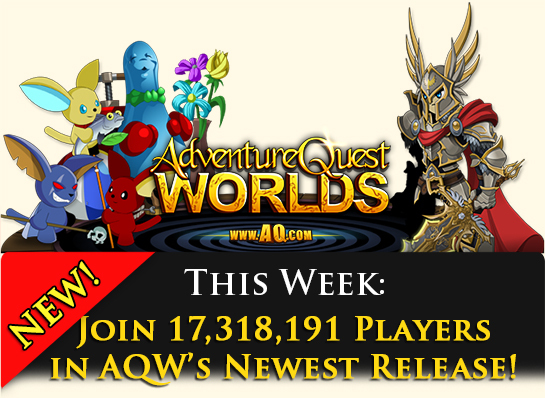 Invite your friends to create an AQW account & experience a new start of the game. We intive you to share your thoughts on Facebook! Act fast, intrepid Defenders of the Void! 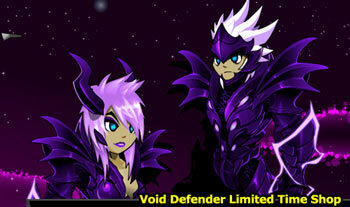 Dage the Evil is releases a limited selection of Void Defender Armor Sets starting Friday. Are you ready for some football armors? 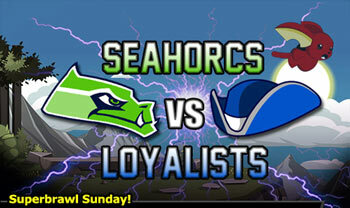 Join us this Sunday as the Seahorcs take on the Loyalists, and then /punt Twilly! It’s a TOUCHDOWN! Back by popular demand: Panda Hoodie! Bundle Up & Battle On, and then get the new J6 Shirt & the new book, Za'nar: Impossibility, by Zack Storch! Battle through the Tombs of De’ther, recover the Ring of Light, and defeat the dragon Jir’abin. Embrace the Void by becoming the Void Defender! Read more here. 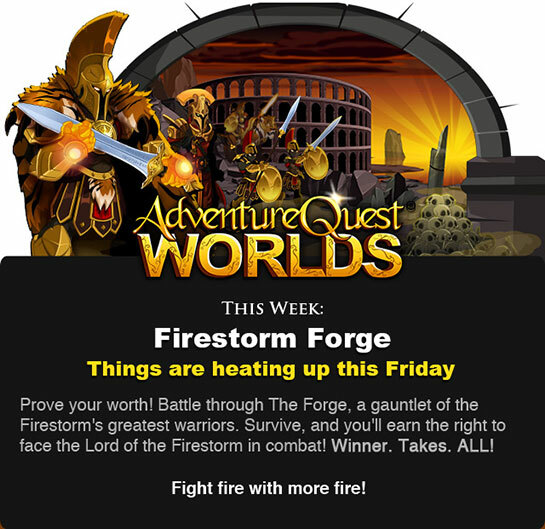 More Items this Friday by Nulgath! ArchFiend fans LOVED the Hanzo gear, so Nulgath is releasing even more! Get the Golden & Shadow Hanzo Sets, plus new items! Read more here. 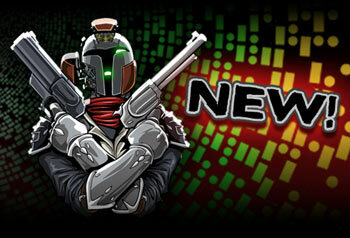 This Friday, get your gauntlets on Za'nar: Impossibility book & new J6 shirt! Buy both J6 shirts & get a limited item! Za’nar book also includes game item. Shop smart, shop HeroMart! 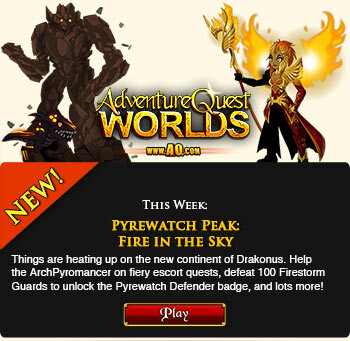 In the upcoming weeks, journey to Northpointe--the starting zone for the new main AQW storyline. And then... prepare for the FireStorm Assault! Special Event this Friday: Za’nar: Void Invasion! 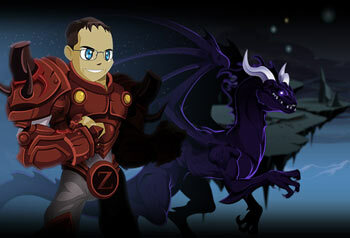 Zack Storch, faithful Artix Entertainment gamer & TV star on King of the Nerds, returns to AQWorlds this week in a special in-game event based on his new book, Za’nar: Impossibility! Read more about it here! The Archfiend is leveling up IRL and wants to share his in-game items with you! Log in Friday night for rare Nulgath birthday items created by Nulgath himself! Anyone who is a Level 10 or higher, with an account created before January 1 2015, who did not get a Mute or Ban in 2014, will get 500 ACs & the ‘Honorable Hero’ character page badge! Full details here! Returning soon by popular demand: the Panda Hoodie! Bundle Up & Battle On this weekend when the fuzzy hoody hits the shelves, and then stay tuned for a new J6 Shirt & the all new book by TV star Zack Storch arriving soon! 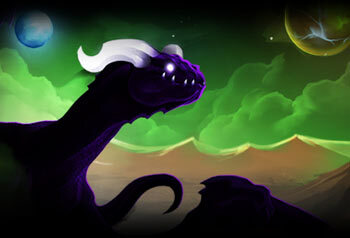 Play our new Mobile Game: DRAGONS! How do you train your dragon? Raise 12 dragons in our new free game. 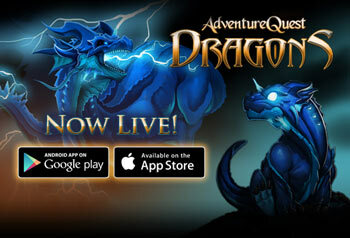 AdventureQuest DRAGONS is available now on Google Play and iOS. 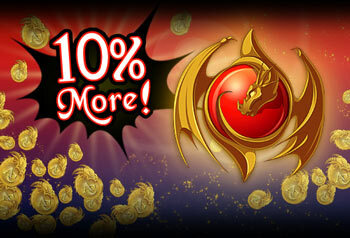 Download it now at aqdragons.com and become a dragon master! Battle bosses @ Eagle’s Reach Keep, learn arctic monster slaying skills, and earn LOTS of Rep, XP & Class Points! Members can battle through the Hall of Honors for even greater rewards! All that glitters is… Golden Gladiator! 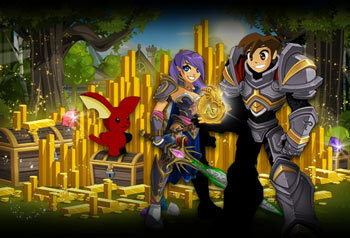 On Jan 9, get your gauntlets on the 12 Month Upgrade and unlock ALL 16 ITEMS in the Golden Gladiator set! Read more about it here. Prepare for the Za’nar Invasion on Jan. 16! A special event based off the new book by Zack Storch features Chaos, a new Planet, & Void Dragons! 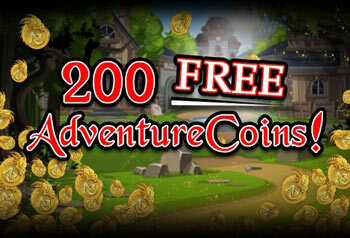 Use Paypal, a Credit Card, or Amazon to get 10% MORE AdventureCoins or Artix Points! Only available for a limited time. Read more about it here.